This cartridge was donated to me by a good friend. Interesting hardware, but not so useful nowadays. Apparently used to add realtime-saving capabilities to the older Pro Fighters (internal copyright note says 1993.05.02). I haven't gotten it to work on my Super Pro Fighter Q yet. 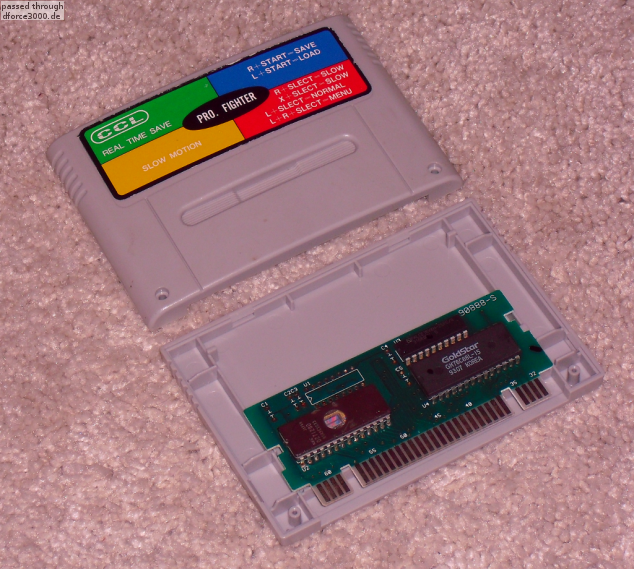 Although it does contain a ROM-chip, there's no bootable SNES program on it. I've dumped the EPROM and am posting it here for archival purposes.